We carry the best from Branson & Country Clipper. We treat you like family! Quality and service is what makes us stand out. Come visit today! Welcome to the Website of Mr. Bitz Tractors. We are North Dakotas "TOP NOTCH" compact tractor dealer where we specialize in compact tractors/small engines and zero turn mowers. We service all brands of compact tractors. We carry a line of implements as well. We are North Dakotas only "BRANSON TRACTOR" Dealer and we treat you like royalty. If it wasn't for our awesome customers we would not be in business today. With an almost 8000 square foot facility we can service the machines we sell as well as others. We also service automobiles and are in sales and service of automotive tires. We are an Authorized service and sales dealer for "Branson Tractors" & Country Clipper mowers. We have been servicing and selling quality equipment since 2009. Branson Tractors come in 19-78hp tractors, gear driven or hydrostatic transmissions. All Branson Tractors are 4 wheel drive and are all diesel engines ranging from 3 cylinder-4 cylinders with or without turbo chargers. Different tire packages are available. Come on down and check out our Branson Lineup and see for your self why Branson tractors are made of Steel. Stop on down at 1730 Airport Road in Bismarck. We are now officially open for business at our new location,1730 airport road. Come on down and check it out, we are right off the end of the north runway and in the same building of "runway express" gas station. If you have any questions please feel free to contact us at (701)850-5622. Check out the link below. You'll have to copy and paste. Or check out the maps below. 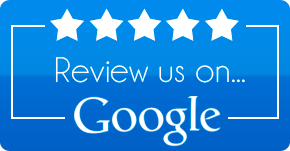 Thank you for choosing to view our website.. We are striving to make it better and better each day. Our goal here at Mr. Bitz tractors is to make you feel comfortable with every purchase and/or service you make with us, we strive to make you feel welcome and comfortable. Our quality and service is what makes us stand out above the rest, we will treat you like family by being with you through every process, whether it be from purchasing a new or used tractor, or just purchasing some attachments for your existing tractor. We will also provide as much information as possible while your tractor is with us for repairs, and/or service. At Mr. Bitz tractors you will feel at home.